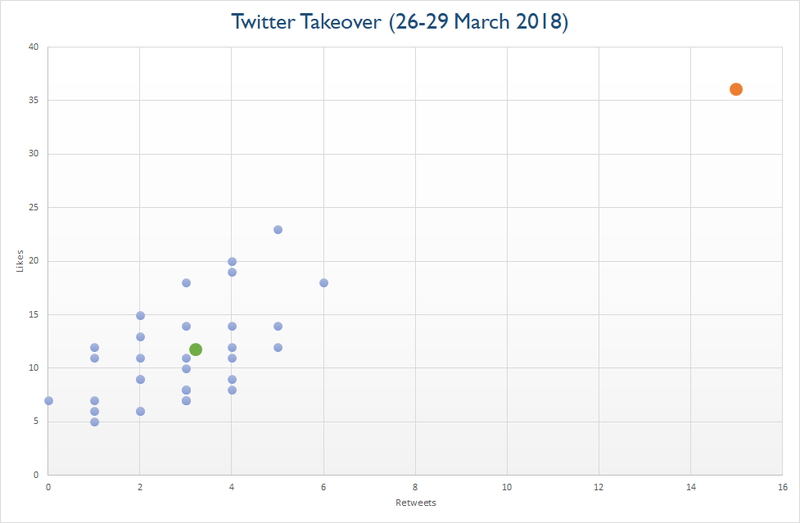 Last month, Akeley Wood Junior School, part of the Cognita Schools group, were given the keys to the main Cognita Twitter account, as part of the #CognitaInsider program. They tweeted 36 items in four days (the team at Akeley Wood take this stuff seriously) and a few weeks later I crunched the numbers. As you can see from the chart below, one item (in orange) stood out a mile. So what was this tweet? A 15 second video, showing off part of their new 3D virtual tour. The tweet then contained a link to the virtual tour itself. In the chart above, the green item represents the average of all posts that week, receiving just under 12 likes and just over 3 retweets each. The video from Visual Realms, on the other hand received 36 likes and 15 retweets. That’s nearly 5 five times as many shares as the average item! And that is what WOW-Factor looks like. Something that grabs attention, that people share online and talk about offline. This won’t last forever, of course. In two or three years, virtual tours with this technology will be commonplace. But for now, there’s a serious advantage to be gained from getting in early. So if you’d like us to help generate some WOW-Factor for you, drop us a line.